Part 1 gave a very general overview of “fair use,” a defense to copyright infringement available to accused infringers in certain circumstances (but fewer than you may think). Part 3 discussed the “nature of the infringed work” — Creative works receive a higher amount of protection under the law, and so using them (as opposed to more factual, uncreative content) can look a lot more like infringement than fair use. Part 4 covered the “amount and substantiality of the portion taken” — Consideration is also given to whether the entire original work was used; and if not, whether the portion used represented an important piece of the whole (i.e., the “heart” of the original). The final factor for consideration is how your use of a copyrighted work affects the current and potential profitability of that work. Under this factor, courts will typically take a detailed look at the audience of the original work, as well as the different ways in which the copyright owner could potentially use the work in the future. If your use of a copyrighted work impairs (or could impair) the author’s ability to make money, then it’s less likely that the fair use defense is available. If, on the other hand, your use is aimed at a completely different audience, the demand for the original work isn’t affected by your actions, and the original author probably couldn’t have profited from using the work the way you are, then this factor likely weighs in favor of fair use. In Twin Peaks v. Publications Int’l, Ltd., the plaintiff (Twin Peaks Productions, Inc.) owned the television serial drama “Twin Peaks,” which was first televised in 1990. The defendant (Publications International, Ltd.) published a book titled “Welcome to Twin Peaks: A Complete Guide to Who’s Who and What’s What,” which was based on the first eight episodes of the television series, contained content discussing various aspects of the series (including the series’ characters, creators, producers, location, music and popularity), as well as a chapter devoted to the detailed recounting of the first eight episodes’ plots. Ultimately, the court in this case held that the defendant’s use of the “Twin Peaks” characters and story was not fair use, in part because the book affected the market/potential market for the “Twin Peaks” show. The court found that show viewers could potentially have used the defendant’s detailed plot synopses as a substitute for viewing particular episodes of the series and noted that the plaintiff had already licensed at least two “Twin Peaks” books and had plans to license more — demonstrating that the defendant’s book competed in the plaintiff’s current and potential markets. As stated in previous articles, it is vital to remember that “fair use” is fact-specific — no one factor can establish or preclude this defense. Accordingly, it is important to always make sure to consult an attorney or request permission from the copyright owner before using a work. Justin Haddock is an associate in King & Spalding’s Austin office, and joined the firm in July of 2015. Justin focuses his practice on trademark, copyright, and other intellectual property matters, assisting primarily with domestic trademark prosecution and enforcement. 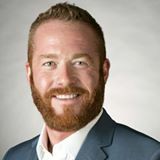 Specifically, Justin’s enforcement work focuses on social media, and he works with clients on developing user policies best practices for company social media accounts, as well as IP enforcement strategies for infringing activity on Facebook, Twitter, Instagram, Pinterest and other major platforms. He also has significant experience clearing trademarks for domestic use and registration, as well as experience in preparing and prosecuting applications with the United States Patent & Trademark Office and the U.S. Copyright Office.